Maintaining the perfect combination of independence and personal care can be tricky. Fortunately, our dedicated staff has discovered a balance that promotes both happiness and health. Residents at Lexington Square are able to maintain their freedom while enjoying the security of round-the-clock personal assistance. Everyone needs a helping hand from time to time. Our assisted living services include support with day-to-day tasks, as well as access to a community setting busy with activities, trips, and programs. You deserve to live life to the fullest. 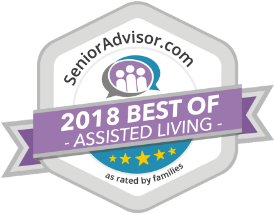 At our assisted living community in Lombard, IL, seniors are given the level of care they need to maintain a safe and comfortable lifestyle. If you or your loved one is an older adult who is no longer able to safely live alone and requires daily care, life at Lexington Square is the optimal choice. We promote a stress-free lifestyle. This means no housework, maintenance, or any of the hassles of homeownership. Life in our assisted living community is simply relaxing. When you choose to make Lexington Square your new home, you’ll automatically begin receiving the long-term personal care services you need to make life easier. Our friendly and attentive staff is available to help you with all aspects of life, whether it’s bathing and dressing in the morning, providing transportation to and from appointments, or merely reminding you to take your medications. We know that personal care needs differ from person to person. This is why we create custom care plans for all residents. Lexington Square is not your typical retirement home. Our residents are able to maintain a desirable level of privacy in their own fully-equipped apartments. Don’t worry about getting around your new home. Your apartment is designed with accessibility in mind. Walk-in showers. Wider hallways. It’s all here. Our assisted living communities reflect the common wants and needs of our seniors, which makes everyone happy. Our team of healthcare professionals at Lexington Square are here to provide a helping hand to older adults who need assistance with daily care. Ready to get started? Call our Lombard, IL assisted living community today to see all that you’re been missing out on.